This promotion is indestructible! Our nail & coin bags can hold up to 10 lbs. of heavyweight material including nails, screws & coins. Made from strong 100% recycled natural Kraft paper to prevent puncturing or tearing. Perfect for hardware stores, banks, tool companies & home improvement businesses. Each bag measures 6 1/4" x 13 1/4" with a 4" gusset. 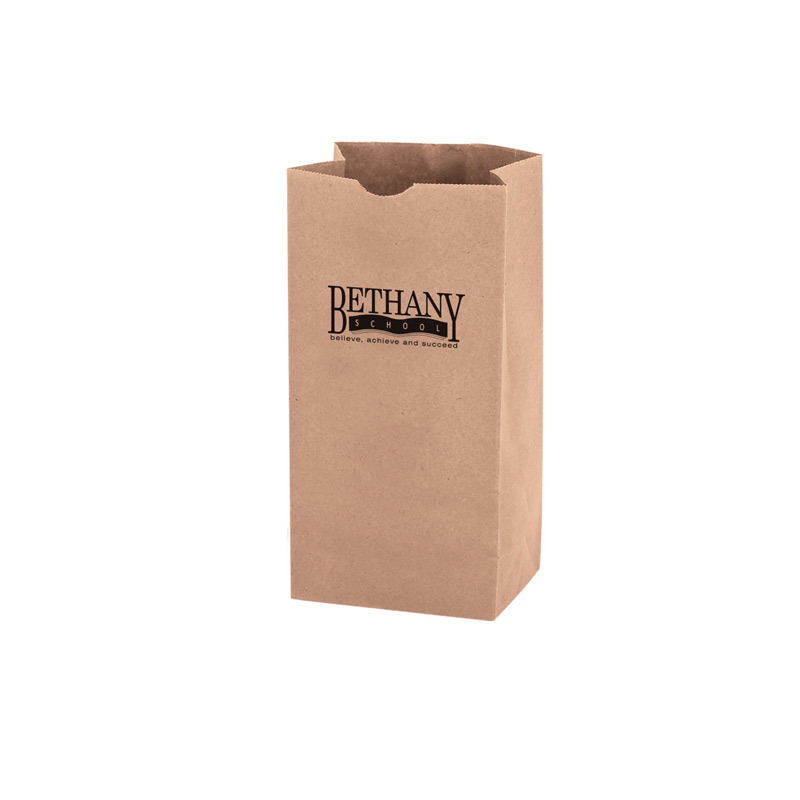 Make it a promotion to remember & customize with your brand name or logo. Pricing is per bag. 1st color/1st location run charge - FREE. Run charge: $0.25 (A) per additional color/location. Up to 2 spot colors per side. Minimum 1/2" space between colors. Setup is per design / Run charge is each additional color per location (up to 2 spot colors with 1/2" space between them). Call for Rush availability. PMS Matching - $90 (E) per color. Call to confirm color availability. Customize any product! We can create a unique design for you! Need your order sooner? Call our RUSH HOTLINE 888-994-7766 for assistance.